Swamp Fox Press » Blog Archive » What the bleep is that? What the bleep is that? 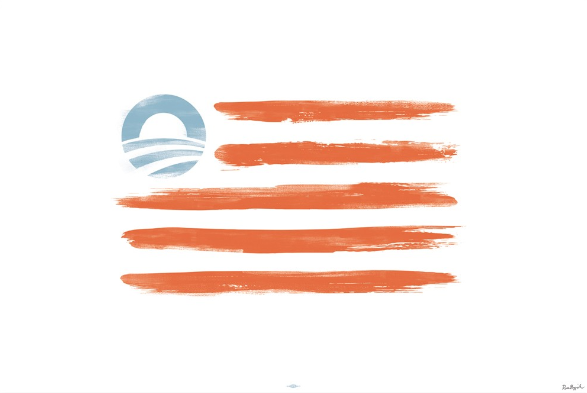 An Obama flag?! And this one wasn’t even made by a crappy Chinese company. 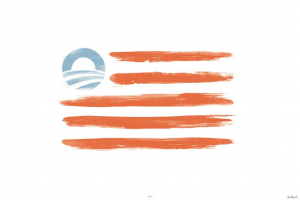 No, the Obama Campaign has released this limited edition print replacing our stars with the Obama emblem. Wait, that even sounds screwed up, doesn’t it? When have we ever had a President that had a symbol?! Who does he think he is? Prince? Please! It would be nice if the President would learn some basic flag rules. Remember, he didn’t place his hand over his heart when he was first elected during the national anthem? At a fundraiser, he laid a flag on the ground (a no-no even if it was on a tarp. You can’t lay the flag down on something). And now this. Ugh!